Oh my gosh!!!! They are stunning!!!!!!!!!!!! Very very impressed! After scrolling for an hour last night trying to find the best florists in Auckland, I’m so glad I chose Best Blooms!!!! Thank you so much for the great communication and friendly assistance from Tessa and Kelly! I can’t wait for my sister to receive soon, she’ll be over the moon!!!! Chocolate Gift Basket to share! This is a gift basket choc full of yummy chocolate treats. Lots of family favourites here and a perfect gift for sharing! Your Chocolate Gift Basket will be beautifully presented and is guaranteed to be a popular surprise. Sweet, cute and very popular! These small sized plush teddies are 20cm high and very nice quality. 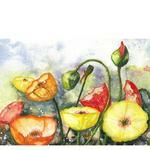 Perfect to add on to your flowers as a keepsake gift. A fun stick Balloon adds a bright touch to your flowers. Matched to suit the occasion. These are the 9" (22cm) size air-filled balloons on a stick. They stay up for absolutely ages so make a fun keepsake too. 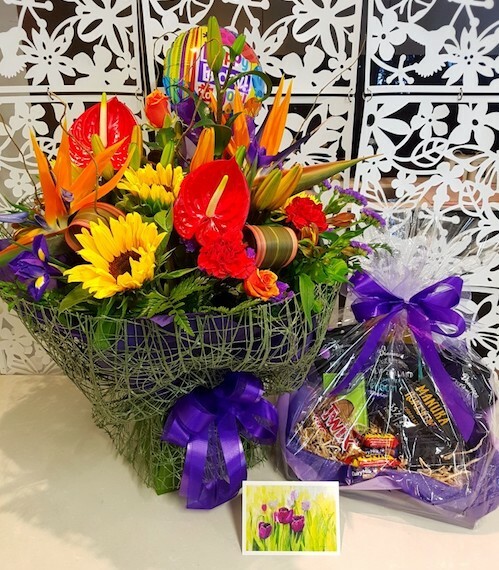 We have all sorts of balloons for any occasion, so please tell us in the notes to florist section, what the occasion is and we will choose a perfect balloon to match your flowers. Floating Helium Balloon. Matched to suit the occasion. 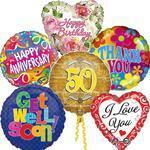 Very popular and sure to bring a smile a floating balloon is a perfect add-on to your flowers. The size is 45cm (18"). Due to the fly-away nature of the balloons these can only be sold as an addition and not on their own. 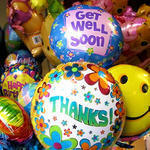 See our balloon in a box option for just balloons. Tell us in the notes to florist section what the occasion is and we will select the perfect balloon to match your flowers.